As Rebellion Festival returns to Blackpool for its 9th edition Getintothis’ Vicky Pea reaches for her sewing kit. 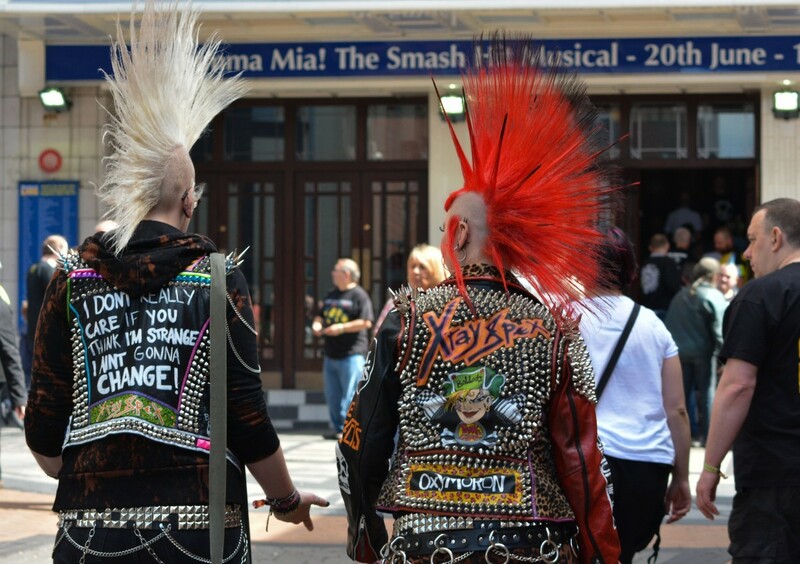 The world’s largest independent punk and alternative music festival takes over Blackpool for 4 days next week. Rebellion Festival has a reputation for gathering the very best on punk rock all in one place. With no sub-genre left out you can expect to see anarcho bands rubbing shoulders with acts from ’77 punk explosion, Oi bands skanking alongside street punk outfits and a new breed of young punks ready to make their own mark. This years line up boasts appearances from Bouncing Souls, The Descendants, Buzzcocks, Anti Nowhere League, Exploited, UK Subs, The Damned, Stiff Little Fingers and Peter Hook and the Light – and that’s a mere handful of near 300 bands headed for the seaside resort. With a dedicated acoustic stage and alternative entertainment on offer too there’ll rarely be a moments rest, or event a moment where you’re not spoilt for choice. With regulars returning year of year Rebellion Festival is very much a community event with a family feel to it, many of the attendees even claim it to be their main holiday of the year, catching up with their fellow enthusiasts on events of the last 12 months. So be warned, once you dive into the Rebellion family, they might not let you go! Rebellion Festival takes place August 4 – 7 at Winter Gardens, Blackpool.